The advent of petawatt (PW) lasers has made it possible to achieve light intensities at which matter is completely ionized into a plasma made of a collection of electrons and ions. This technology has laid the groundwork for a new, promising but still largely unexplored branch of physics called ultra-high-intensity (UHI) physics, which investigates light-matter interactions at extreme intensities to understand the complex laws governing plasma dynamics in ultra-relativistic regimes. So far, progress in the UHI physics has largely relied on the strong interplay between experiments performed using high-power lasers and first-principles, particle-in-cell (PIC) simulations of the laser-plasma interactions. 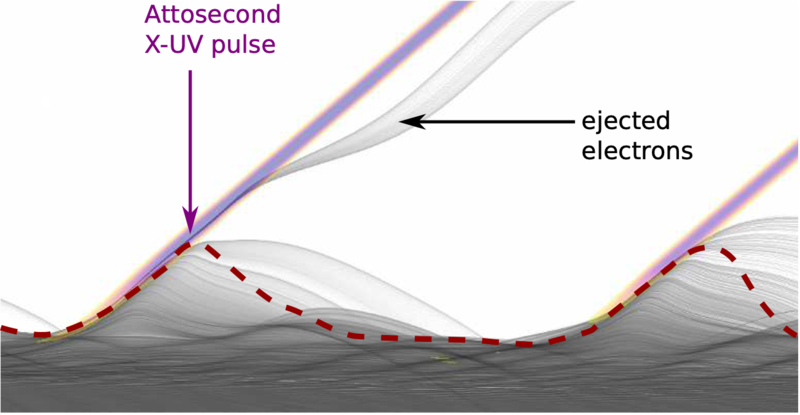 With this INCITE project, researchers aim to develop novel solutions employing PW lasers to solve three major challenges in UHI physics: (1) to attain extreme light intensities to unravel new quantum electrodynamics regimes where vacuum breaks down; (2) to achieve efficient compact electron accelerators to advance high energy science; and (3) to achieve compact ion accelerators for cheaper cancer hadron therapy. In particular, the research team seeks to show that so-called relativistic plasma mirrors, which are produced when a high-power laser hits a solid target, can provide simple and elegant paths to solving these challenges. The researchers will carry out massively parallel simulations using their PIC code, WARP(X)/PICSAR, on DOE’s leadership-class supercomputers to devise and validate novel and readily applicable solutions based on plasma mirrors. The team will make use of their recent transformative developments in first-principles simulation of UHI laser-plasma interactions that enabled the 3D modeling of plasma mirror sources with high-fidelity on current petascale and future exascale supercomputers. They will establish close collaborations with experimental teams at PW laser facilities in the U.S. and Europe to enable experimental validation of these solutions.